The best poem about cat i’ve ever read. Hilarious! Good job; I liked the pacing! Clever. Evokes a darker Dr. Seuss. Love the sing-song style and the ending. Brilliant! I see many politicians and businessman in that hungry cat of yours. What a cute poem! You would need a big litterbox for that hungry Cat!! Hello! You have been tagged in the Blue Sky Tag. https://liyonadancer100.wordpress.com/2017/05/21/blue-sky-tag/ Feel free to participate in the tom foolery of it or go along with your day as usual. Thanks for always writing such great stuff! I love your creations, they make me smile and add something good to my life. Thanks. That was sooo hilarious!!! OMG! 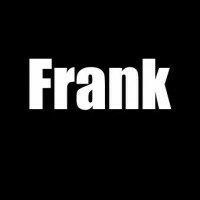 1 Question Frank, Why If I Was? Why not, I’m this or that. You are or something other. Your all recent poetry start with If I Was……… Is it your new style? you must have a pet cat at home right? I have two cats at home. They are both a combination of three colors. Grey,Black and White. What is the sound of one cat’s paw clapping? Saint Helena brought cats to the Island in the year of 327, to fight snakes. Since then, the island has not had snakes, and cats are everywhere. It’s considered a “citizen common task” to feed them, and everybody buys cat food every now and then, to feed stray cats. Some people even create shelters and adopts dozens of cats. One of my neighbours have 20 cats, which he feeds daily. Many restaurants have their own “house cats”, which are allowed to walk among the tables, and ask customers for food. It was hilarious, I loved it! It’s my favorite one so far. I really didn’t see it going that way. Ending was amazing. These are getting better and better – love the fantastical leaps in this!